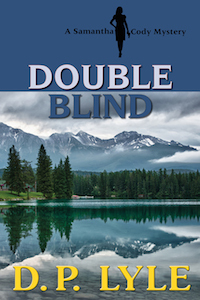 I’ll be on Suspense Radio with John Raab on Saturday, August 30 at 8:30 a.m. PDT. We will discuss my attest Samantha Cody thriller ORIGINAL SIN, snake-handling preachers, and other fun stuff. 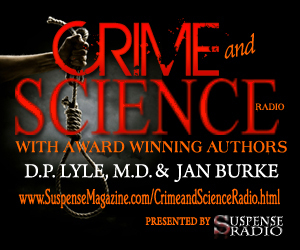 Join us if you can and if not you can catch it later as all Suspense Radio shows are archived. I’ll be doing a TweetChat on Tuesday 8-26-14 from 8 to 9 p.m. EDT (5 to 6 p.m. PDT) to chat about writing and my latest Samantha Cody thriller ORIGINAL SIN. 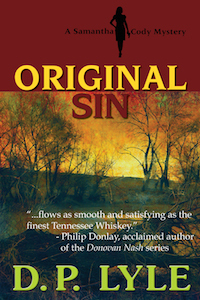 Join the discussion and you might win one of two signed copies of ORIGINAL SIN I’ll be giving away during the chat. It’ll be fun. How do you join a TweetChat? It’s easy and simple. Go to http://www.tchat.io/ and sign in with your Twitter account. Then enter the hashtag #AuthorTweetChat. At 8 PM (EDT) the conversation will begin. All you have to do is watch the conversation. @AuthorTweetChat and our social business influencer @brianmoran will ask DP Lyle questions and he will respond with Tweets. If you want to join the conversation, enter a Tweet in the designated area and tchat.io will post your message for you. Set your DVRs for the ID Channel show Deadly Affairs Saturday night 8-23-14 at 9 p.m. EDT. I was asked to discuss this horrible crime that took place in Irvine, CA, a very few miles from my home. A chilling crime story. Watch the promo trailer at the link below—-after an annoying commercial of course. Join DP Lyle and Jan Burke for a discussion with Barry A.J. Fisher, who spent two decades as the director of the Los Angeles County Sheriff Department’s crime labs. We’ll talk about his career, the present and future state of forensic science, new legislation and and how the public can help to ensure the betterment of forensic science services. BIO: An internationally regarded forensic scientist and leader in his field, Barry A. J. Fisher retired from the Los Angeles County Sheriff’s crime lab after a 40 year distinguished career, the last 20 as crime lab director. He was responsible for conceptualizing, planning and coordinating the new LASD/LAPD crime lab located at California State University named the Hertzberg-Davis Forensic Science Center and the creation of the California Forensic Scince Institute. Barry received his B.S. degree in chemistry from CCNY, his M.S. degree in organic chemistry from Purdue University and an M.B.A. from California State University, Northridge. He is a past president of the American Society of Crime Laboratory Directors, past chair of the American Society of Crime Laboratory Directors – Laboratory Accreditation Board, past president and distinguished fellow of the American Academy of Forensic Sciences where he was awarded its highest honor, Gradwohl Medallion. He served as president of the International Association of Forensic Sciences and is a member of many other professional organizations including the IAI, CAC, TIAFT, CAT, and the IACP. His current interests concern the interrelationship between forensic science and the law along with public policy issues concerning the timely delivery of quality forensic support services to the criminal justice system. He served as a member of the American Bar Association Criminal Justice Section’s Ad Hoc Committee to Ensure the Integrity of the Criminal. He is a founding director and served on the Board of Directors of the National Forensic Science Technology Center from 1995 until 2007. Fisher is a member of several editorial boards: the Journal of Forensic Sciences, the Journal of Forensic Identification, Forensic Science Policy and Management and the McGraw-Hill Encyclopedia of Science and Technology. Fisher is an alumni member of the Council of Scientific Society Presidents and a life member of the International Association of Chiefs of Police and was a member of the IACP’s Forensics Committee. His textbook, Techniques of Crime Scene Investigation, in its 8th edition, enjoys wide popularity. He is a co-author of two other books, Forensics Demystified and An Introduction to Criminalistics: The Foundation of Forensic Science. Fisher lectures throughout the United States, and has spoken in Canada, England, Australia, Singapore, France, Israel, Japan, China, Turkey and Portugal on forensic science laboratory practices, quality assurance and related topics. In 2000, he led a forensic science delegation to lecture to forensic scientists in the People’s Republic of China. In 2012, he was invited again to China to lecture on forensic science developments in the United States. Since retiring, Fisher has consulted for the United Nations Office on Drugs and Crime, the United States Department of Justice, International Criminal Investigative Training Program (ICITAP) and Analytic Services Inc., a not-for-profit institute that provides studies and analyses to aid decision-makers in national security, homeland security, and public safety. He also consults on forensic science matters with Park Dietz and Associates. Fisher, a native New Yorker, is married. He and his wife Susan reside in Indio in Riverside County, California. They have two married sons: David, a criminalist with the New York City Office of the Chief Medical Examiner Forensic Biology Department, and Michael, an entrepreneur, and eight grandchildren. Remember how it seemed that your Mom always knew when you were lying? No, I swear, I didn’t do it. And then she’d give you that look. The one that melted all your protestations of innocence. Seems to be a universal thing. 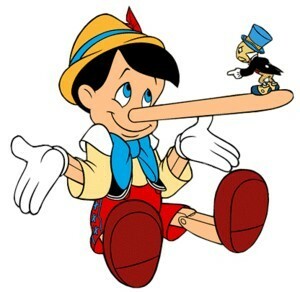 In a recent article in Psychology Today, titled “A 9-Item Test to Find Out Who’s Lying to You,” Dr. Susan Krauss Whitbourne discusses the clues that reveal deception. I’m sure my Mom knew all of these. Heck, she probably could have written this article. 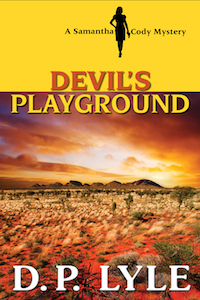 Today is the launch of my latest Samantha Cody thriller ORIGINAL SIN as well as the reprinting of the first two in the series DEVIL’s PLAYGROUND and DOUBLE BLIND. Samantha Cody can’t stay away from trouble. When Sam’s long time friend, Dr. Lucy Wagner finds her career, and even her life in jeopardy, ex-Deputy Sheriff and retired professional boxer Sam rushes to her aide. Dr. Lucy Wagner was on top of her game, her cardiac surgical practice thriving, and her reputation impeccable at the Remington Medical Center in small-town Tennessee. Even the hospital’s new pediatric cardiac unit had been dedicated to her. But being at the apex of the local medical pyramid garnered her more than a few powerful enemies. Lucy’s spiral into darkness began when the spiritual founder and leader of a local snake-handling church died on her operating table. Strange fainting spells and nightmarish dreams followed. Those she could handle, almost, but when her post-op patients began exhibiting violent psychotic behaviors, Lucy knew it was time to call in the cavalry. Samantha Cody’s cop/boxer mind kicks into gear as she leads Lucy on a journey into the past and a confrontation with old and very powerful forces she never knew existed. Recently, James Brady died. He had received a serious head wound during John Hinckley’s failed assassination attempt on President Ronald Reagan. That was 1981. Now, over three-decades after that event, Brady’s recent death has been deemed a homicide. At Hinckley’s hand. His death could result in murder charges against Hinckley. After 33 years? How is that possible? There are five manners of death: natural, accidental, suicidal, homicidal, and undetermined—-the waste basket into which deaths that can’t be confidently attributed to one of the other four categories. The Virginia ME determined that the gunshot to the head that Brady received began a cascade of medical issues that ultimately led to his death and thus he was the victim of a homicide. This might seem odd but it’s really not all that uncommon. Whether prosecutors will file charges and take on such a difficult to prove case remains to be seen. I blogged on this very subject back on 5-5-11. For a more detailed discussion of the cause and manner of death check out my book Howdunnit: Forensics.